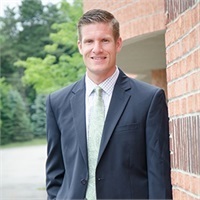 Corey has been a Registered Representative with The Legend Group and has been helping clients simplify the retirement planning process since 2004. He has been a CERTIFIED FINANCIAL PLANNER™ practitioner since 2011. Corey holds a B.S. in Economics and Finance from Niagara University. Born and raised in Western New York, Corey and his family reside in Niagara County. Away from the office he enjoys spending time with his wife Elisabeth, and sons, Colton & Bryce. He also likes to play hockey and go hunting. Education. Corey completed an education requirement to demonstrate to CFP Board that he has the theoretical and practical financial planning knowledge to practice personal financial planning. In addition, every two years, Corey must complete a minimum of 30 hours of continuing education to stay current with developments in the field. Examination. Corey passed a 10 hour exam administered by CFP Board to test my understanding of the financial planning process, tax planning, employee benefits, retirement planning, estate planning, investment management and insurance. Experience. Before earning the CFP(R) certification, Corey fulfilled a minimum of three years’ experience in the financial planning process. Ethics. Corey agrees to abide by CFP Board’s “Code of Ethics and Professional Responsibility.” The “Code of Ethics” requires CFP(R) certificants to act fairly and diligently, with integrity and objectivity, when providing financial planning services to clients. Corey also have agreed to submit to background checks by CFP Board and have agreed to disclose any investigation or legal proceedings related to my professional or business conduct. A financial planner working with employees of non-profit organizations and entrepreneurs in the Buffalo, NY region. Estate Planning, Financial Planning, Disability Insurance, Health Insurance, Long Term Care, Life Insurance and Employee Benefits.